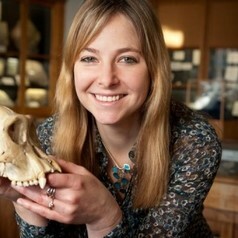 A Trustee of The Conversation, Alice Roberts is an anatomist, anthropologist and Professor of Public Engagement in Science at the University of Birmingham. She has developed a research interest in biological or physical anthropology, looking at what ancient skeletons can tell us about human evolution and the diversity of the human species. She has a PhD in palaeopathology, the study of disease in ancient human remains. Alice is also a broadcaster and has presented several landmark BBC series including The Incredible Human Journey, Origins of Us, Ice Age Giants and The Celts. She has also presented several Horizon programmes, and occasionally presents Costing The Earth on Radio 4. She has written seven popular science and archaeology books. Her book about embryology and evolution, The Incredible Unlikeliness of Being, was shortlisted for the Wellcome Trust Book Prize in 2015.